To get them GoT’d (don't you LOVE that phrase?! ), they needed a night near Donegal (Derrick Dondarrion’s Hideout), then drive up along the coast (Dragonstone, Dark Hedges; Iron Island harbor, Storm’s End, Renley Baratheon’s Camp). Then a night in Bushmills, and enroute north is also the Giant’s Causeway World Heritage Site. (I was thankful I had at least heard about this place.) They then would need a day to tour southeast of Belfast for Winterfell , Robb Stark’s Camp and an overnight in Newcastle to see the Haunted Forest. Heck, even the Queen visited the Giant’s Causeway to celebrate her 90th birthday, so clearly these are sights not to be missed. The beautiful avenue of Beech trees planted by the Stuart family in the 18th century, is one of the most photographed natural phenomena in Northern Ireland, and a popular attraction for tourists all around the world. Centuries later these trees remain a magnificent sight, and represent the King’s Road in the GoT. Located on the Causeway Costal Route, Ballintoy Harbour is used as the landing spot for the windswept Iron Islands in season two. The entrance at Castle Black is one of the most iconic locations of the franchise. The actual filming location is a disused quarry in Magheramorne. 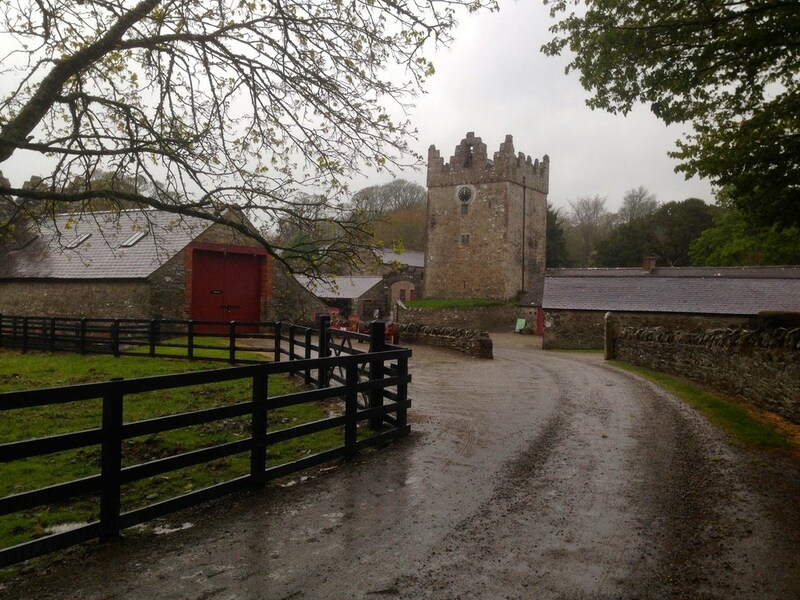 The exterior shots for Winterfell are courtesy of the Castle Ward. For the interior shots, those are set up in the Paint Hall Studio at the Titanic Quarter. The small coastal village of Cushendun stands on an elevated beach, and is home to some spooky caves that GoT addicts know to be the place where the Red Priestess gives birth to her murderous shadow baby. This is a just a snapshot of my new knowledge surrounding this show and how it makes for an incredible travel focus. But while I am an expert in many things travel related, I cannot claim this as one of my areas of expertise. So what I did was partner with a true expert in not only this part of the world, but a fellow GoT enthusiast who was more than happy to assist me in mapping out the ultimate self-drive independent vacation for my clients. How would I have ever known all those details, and to be able to put them together in a logical order that allowed my clients to explore at their own pace, with the ability to see and do the things they were interested in? I pride myself in allowing people the ability to have their own authentic experiences when they travel — and oftentimes that means not tagging along on a pre-made, packaged tour on a motor coach with 48 of your closest friends you just met. In order to provide that, I sometimes need to know people that are experts in a variety of different areas.